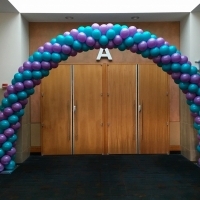 Spectacular balloon arches will get your guests attention! 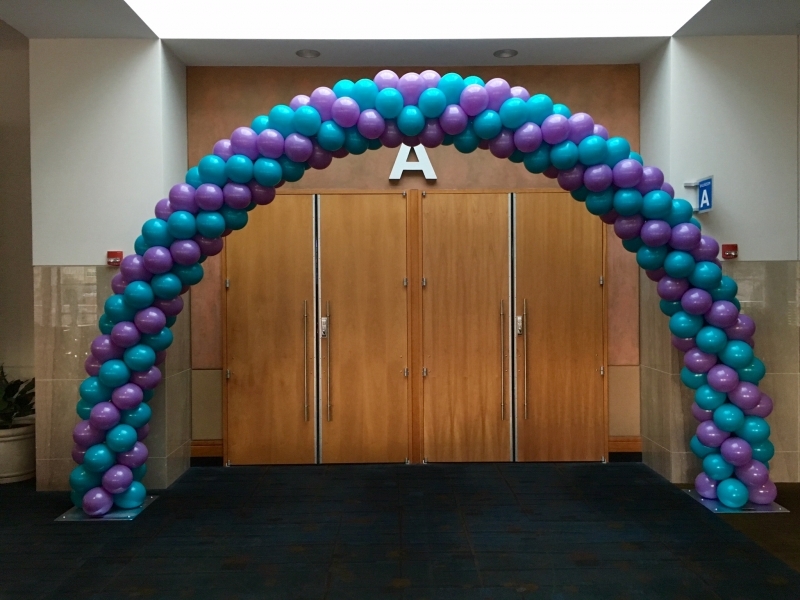 Balloon Arches – the best attention getters! 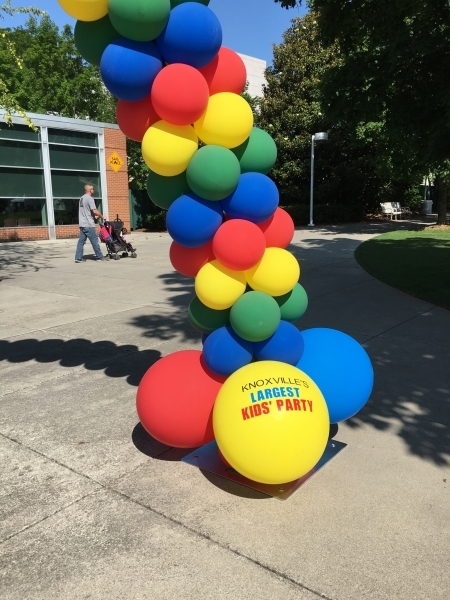 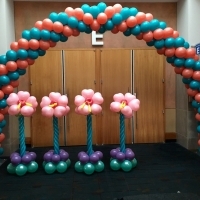 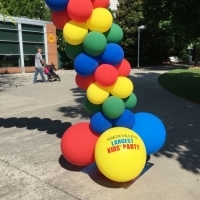 It is important to realize that the core structure of balloon arches and columns are balloon “garlands”. 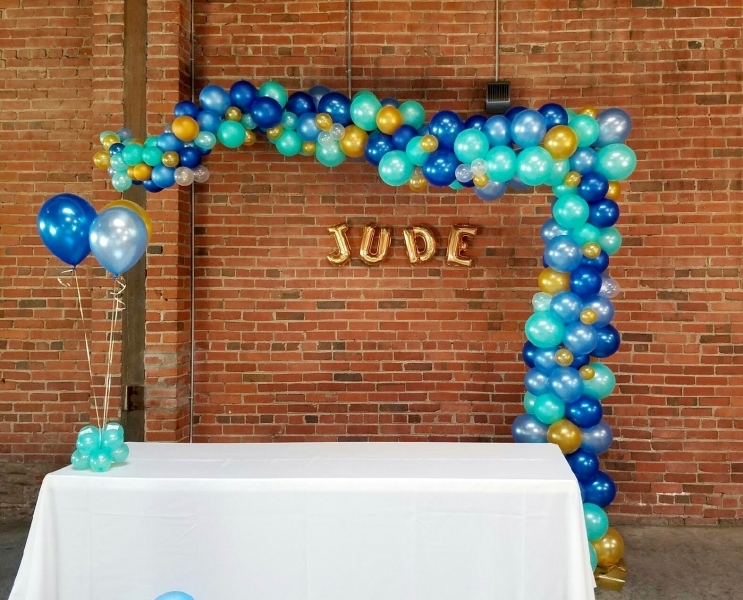 By modifying the quantity of balloons per layer or varying the sizes of the balloons, we can make the overall shape round, rounder or square packed. 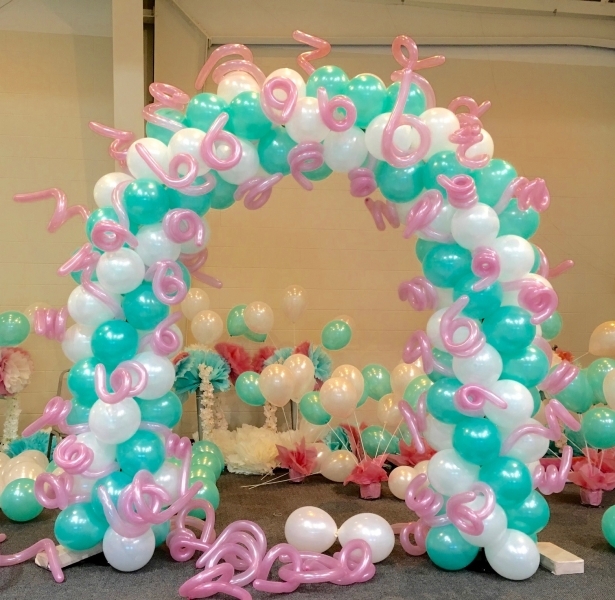 Consequently, various looks and effects are created differently depending on how the balloons are stacked. 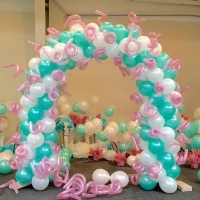 With this in mind, a professional decor artist can advise you on what’s best for your theme, decor style and budget. 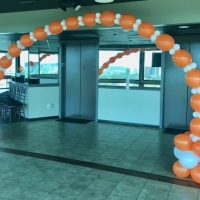 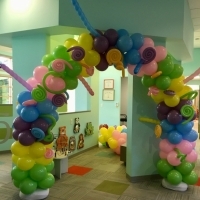 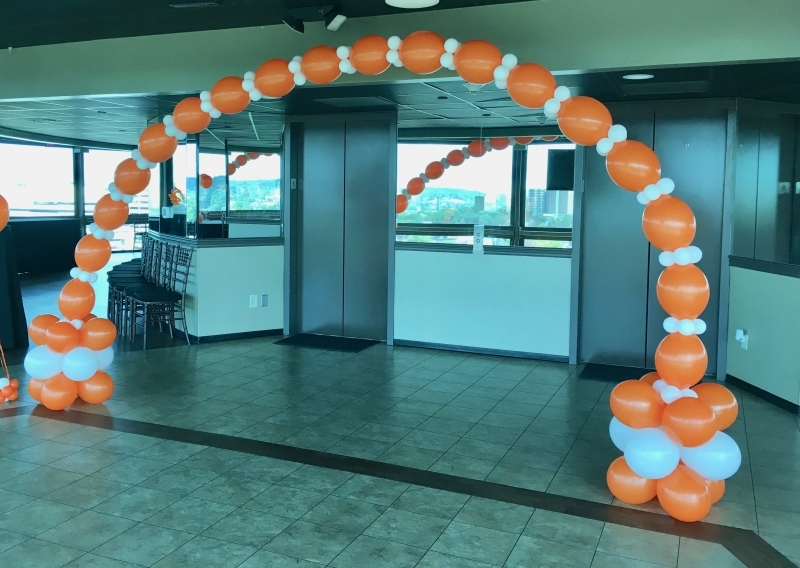 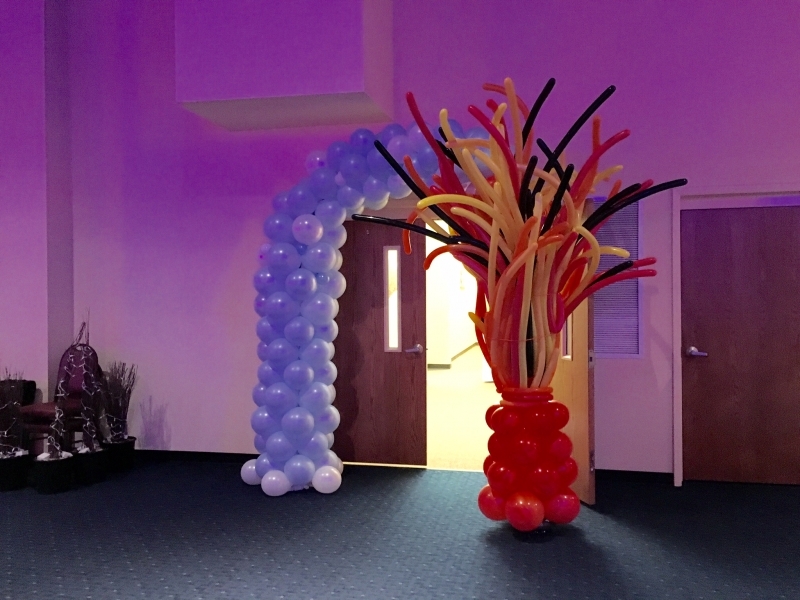 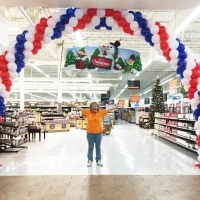 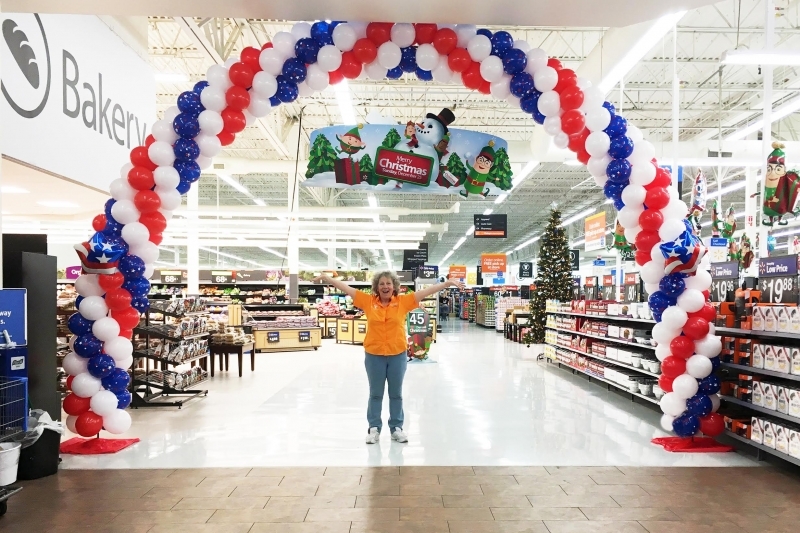 Balloon arches can be used inside or out and serve a particular purpose. 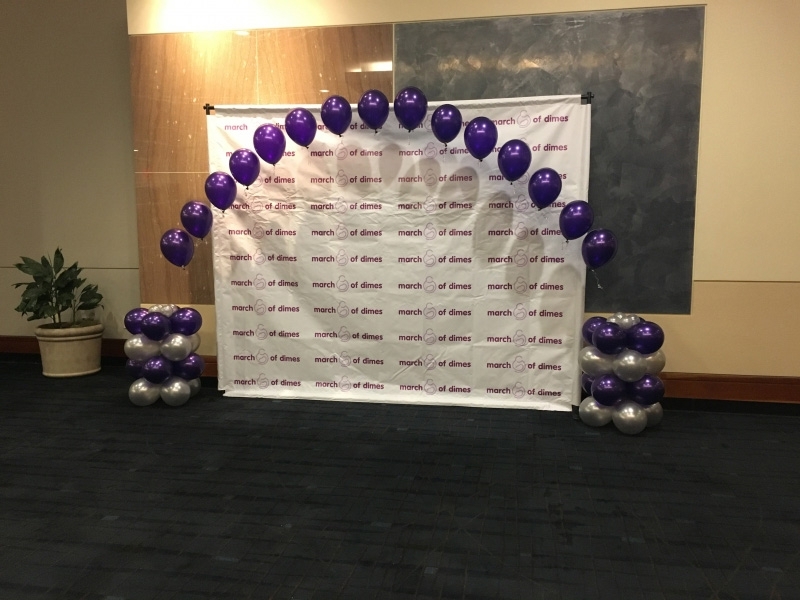 Usually to bring attention to the “main” part of your event. 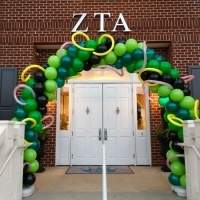 Furthermore, arches can serve as the perfect placement for amazing photo opportunities. 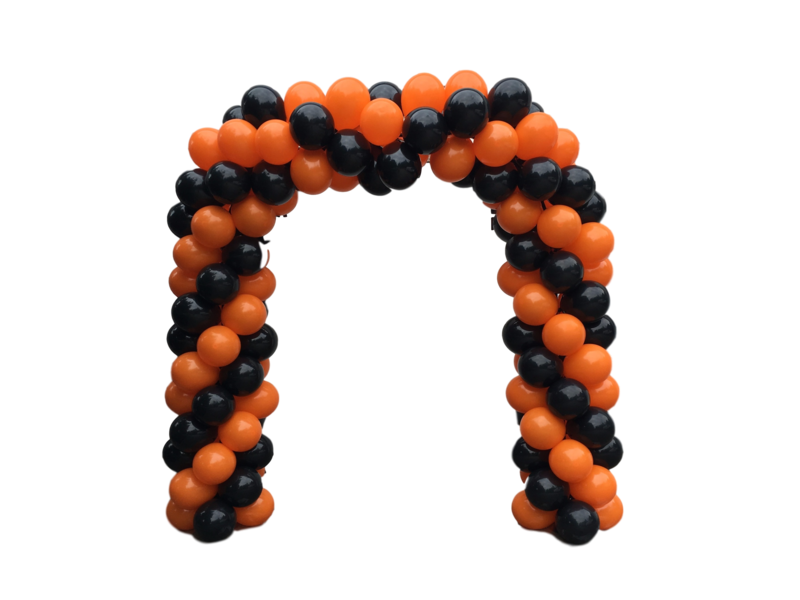 Available in a variety of sizes. 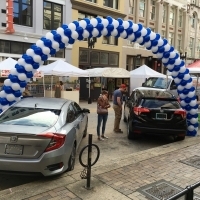 From tabletop to spanning from one size of the street to the other with enough space to allow vehicles to pass through. 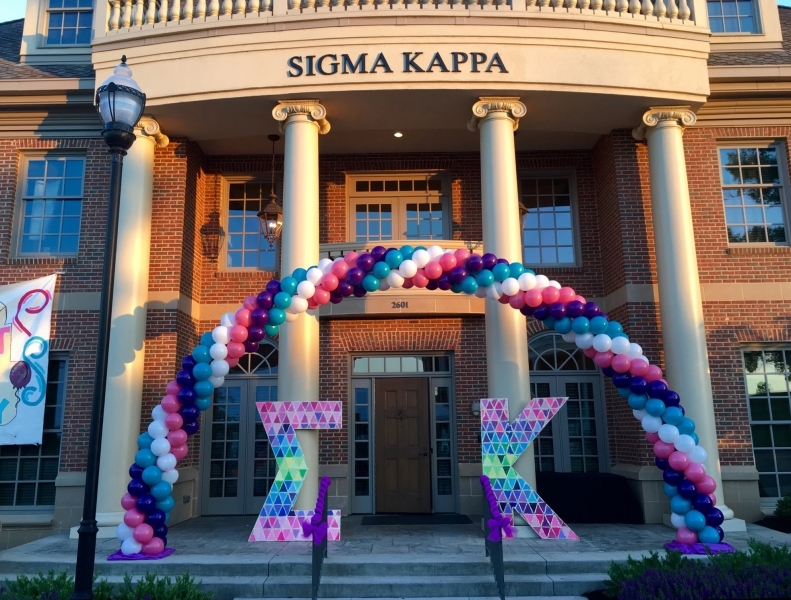 Colors and patterns are endless! 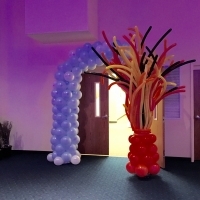 Not to mention the array of foil balloons available to us. 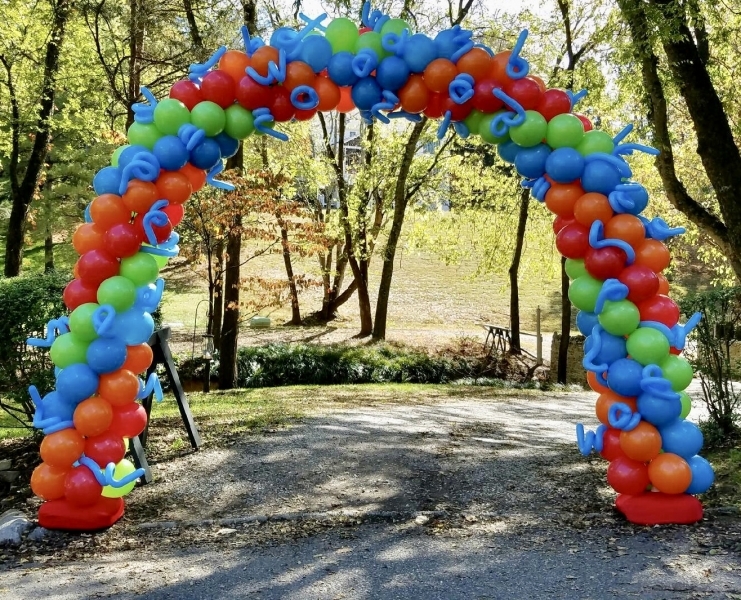 Such as specifically designed shapes, perfectly designed to bring that extra special touch, completing the desired theme. 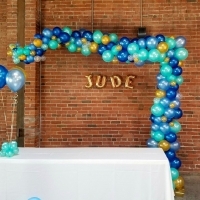 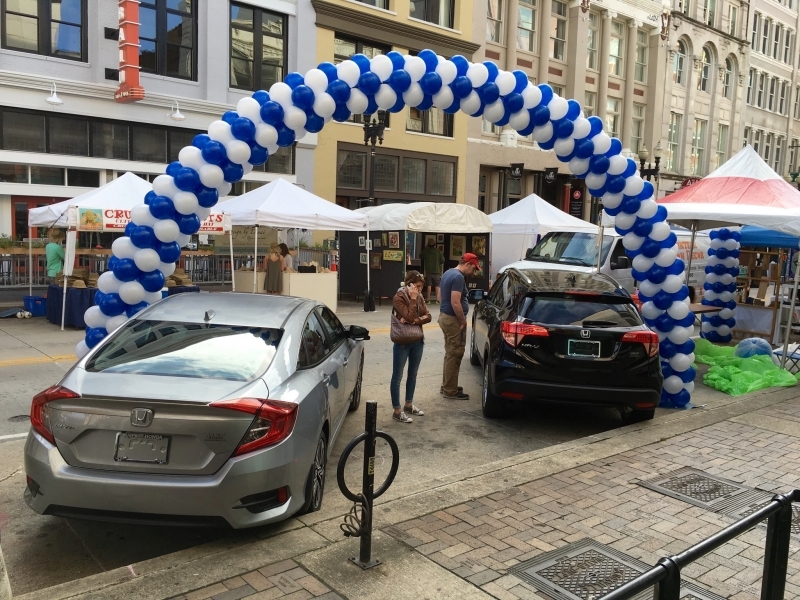 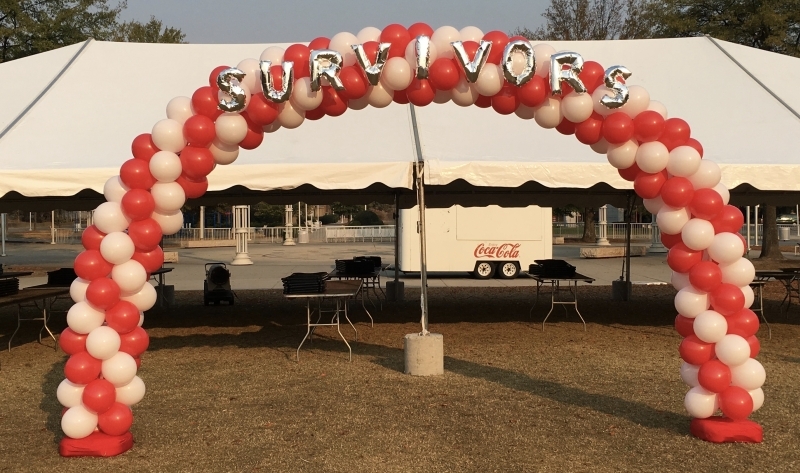 Arches can be built on a frame or helium filled and tied with a string to float over a designated area. For example, take a look at this impressive structure pictured here, built by one of my instructors, Sandi Masori. 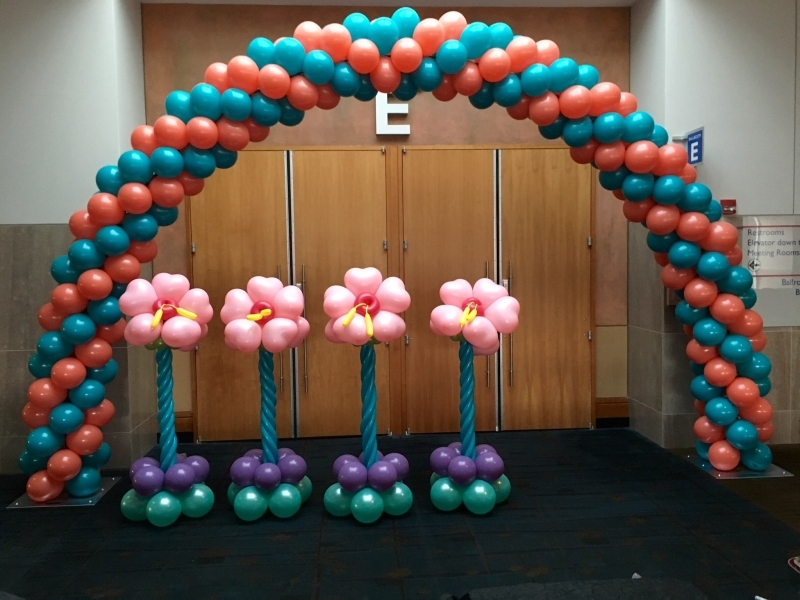 Usually, we inflate the balloons in our studio and assemble and complete the arch on site within 30 minutes. 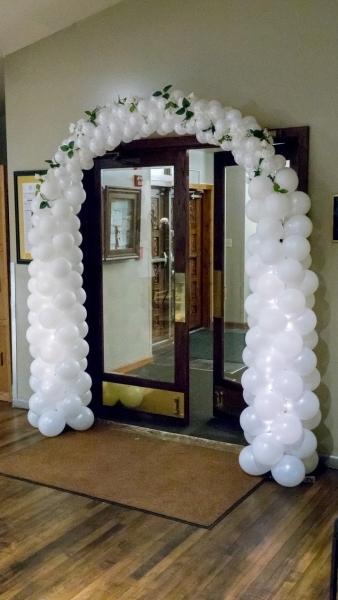 Exterior arches will need weighted bases with a larger footprint to prevent the arch from falling over. 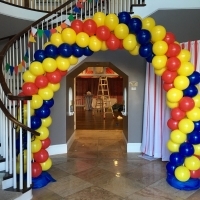 Starting with a good frame is important to build the most attractive balloon arches. 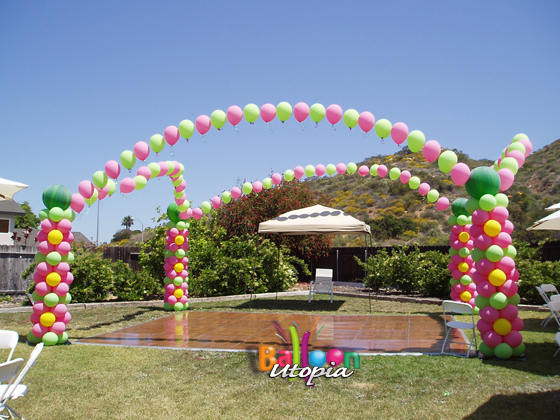 We use and prefer these two types of professional structures; the Aeropole System for giant, exterior decor and the Zephyr System for lighter jobs, inside or outside. 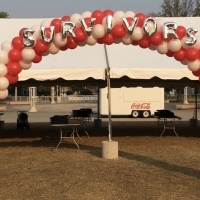 At the end of the event, our team will return and dismantle and collect either of these types of framework. 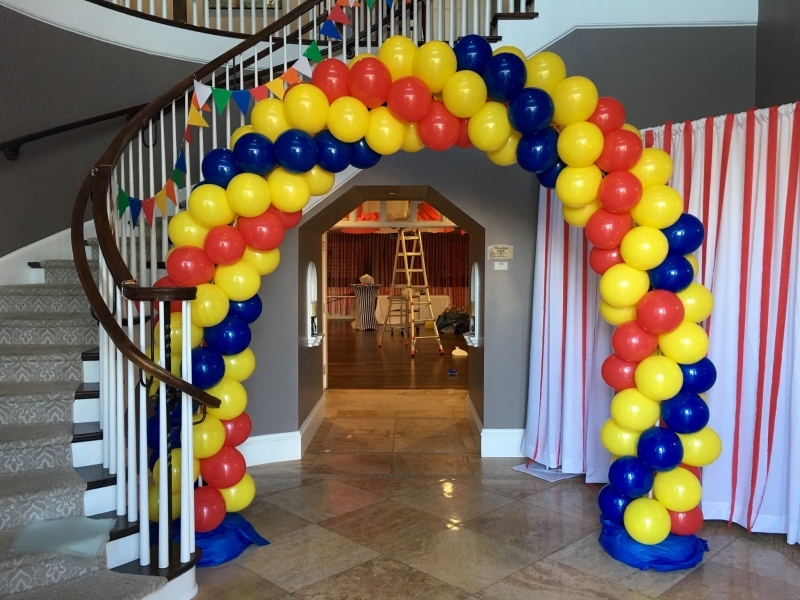 Sometimes my client needs only a small arch. 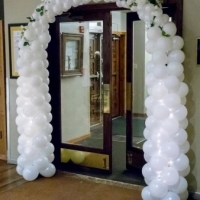 For these situations, it is possible for me to build a smaller, simple “disposable” arch. 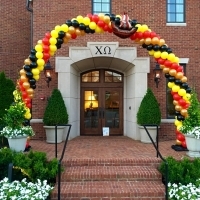 Although small, light and easily moved they can be very attractive. Prices vary depending on size and whether the installation is inside or out. 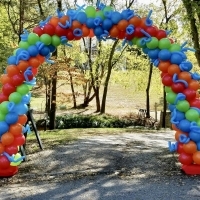 For example, a small, simple inside disposable arch in 2 colors as shown here is $200 + delivery & setup. 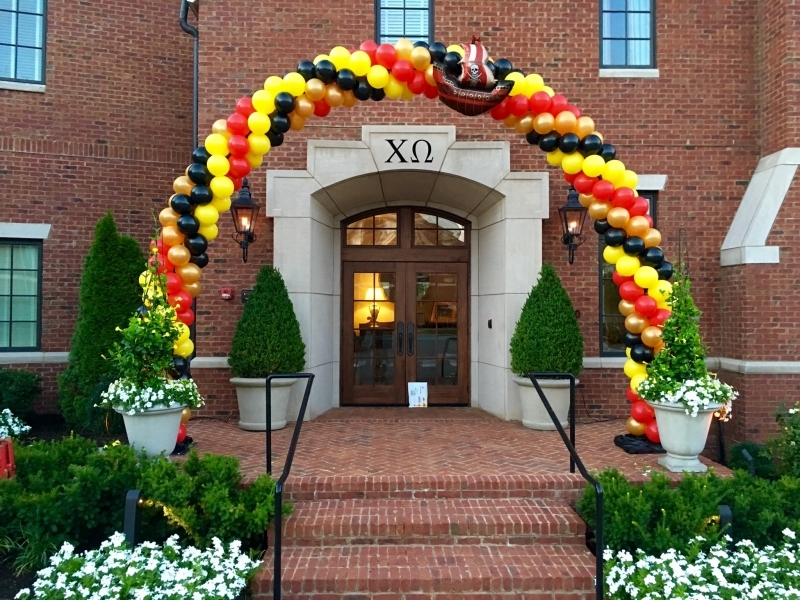 It includes a $25 refundable deposit that my client can collect if they return the framework within 7 days. 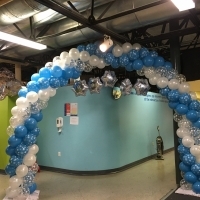 Prices range from $300 & up for large, exterior arches such as the Large Classic balloon arch in the above gallery. 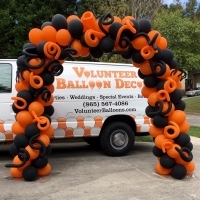 Set-up, delivery & sales tax extra. 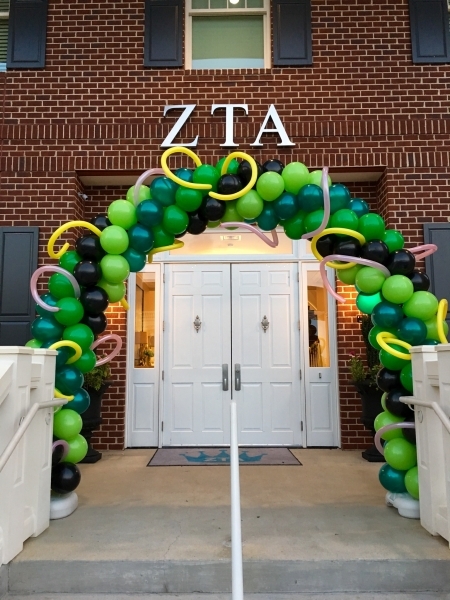 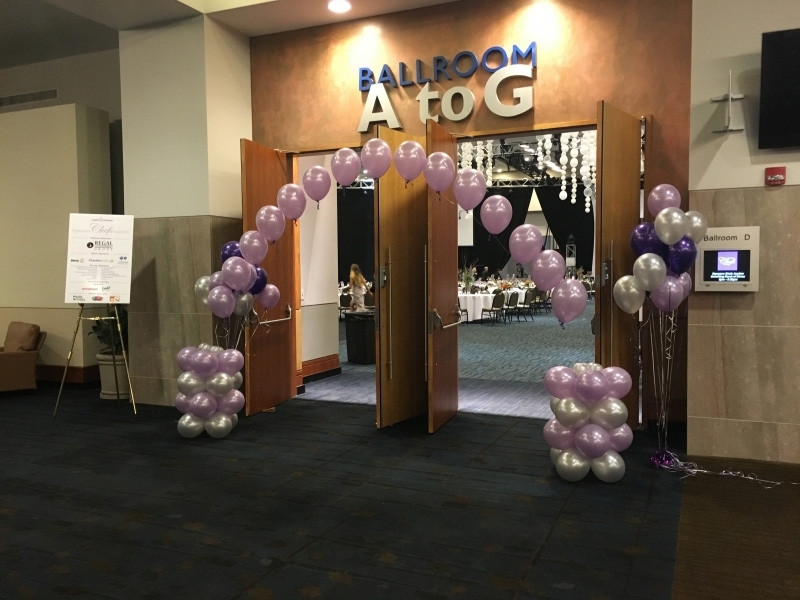 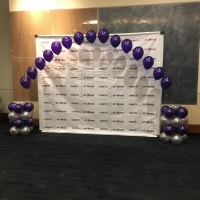 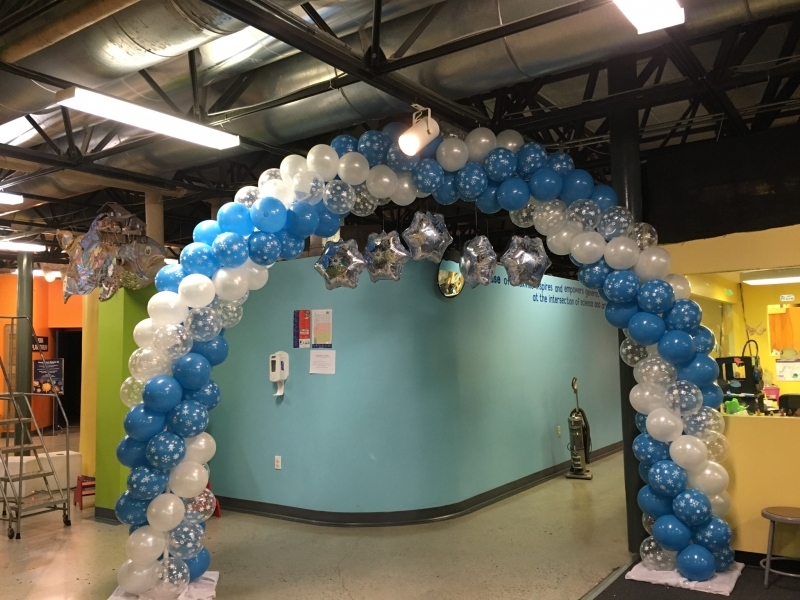 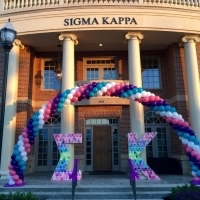 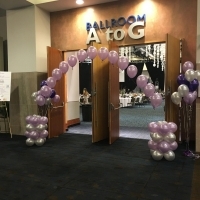 As you can see, these beautiful balloon arches are available for all budgets, Contact me and find out if a balloon arch is what is best suited for your event!